This week is spring break at UWM, so technically I am off. No classes to interpret, my arms and hands are taking a much needed rest. (for the most part) I am sneaking in a bit of work to make up for my time off next week — for our honeymoon! Can hardly wait to plant my feet in the sand, bust out The Hunger Games with a side of fruity drink, and spend some much needed time with my guy. I used to spend spring break in Denver every year, with my BFF. (and I still do sometimes) Every single time, we would make “tuna noodle,” our specialty since our college days in La Crosse. It was usually accompanied by grilled chicken breast and a side of garlic bread — you know, to keep things simple. When I started eating gluten-free, we sort of ditched the tuna noodle. Yes, a sad day in Denver. And because Denver is such a gluten-free haven, we tend to check out the options for dining out more often these days — and there are plenty of them, see for yourself here. 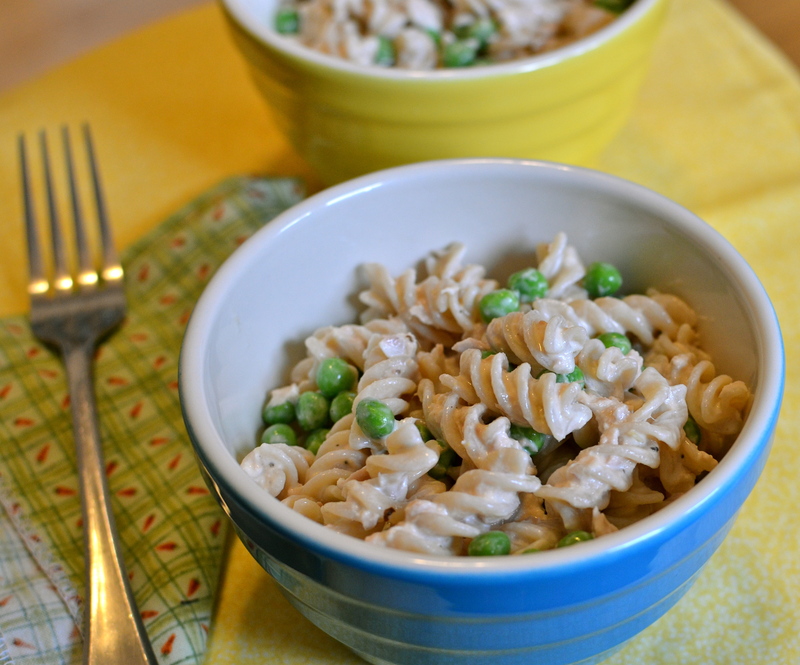 Another reason we don’t really do the tuna noodle route anymore is because gluten-free pasta can be kind of finicky. You have to cook it perfectly. Otherwise it is complete mush that falls apart, or too hard to even think of using for a cold salad. But then Jovial pasta came along. And tuna noodle is back, baby! This is big news for me and my girl, Mel. Guessing there will be a little head tilting laugh or two, to celebrate. 1-2 handfuls of peas – Yes, very technical measuring here. I love me some peas. Hellman’s mayo – This varies. You can lightly coat, or really sauce it up, it’s up to you! Prepare Jovial pasta according to box instructions. Set a timer for yourself. When it comes out perfectly cooked, you’ll be happy you did. 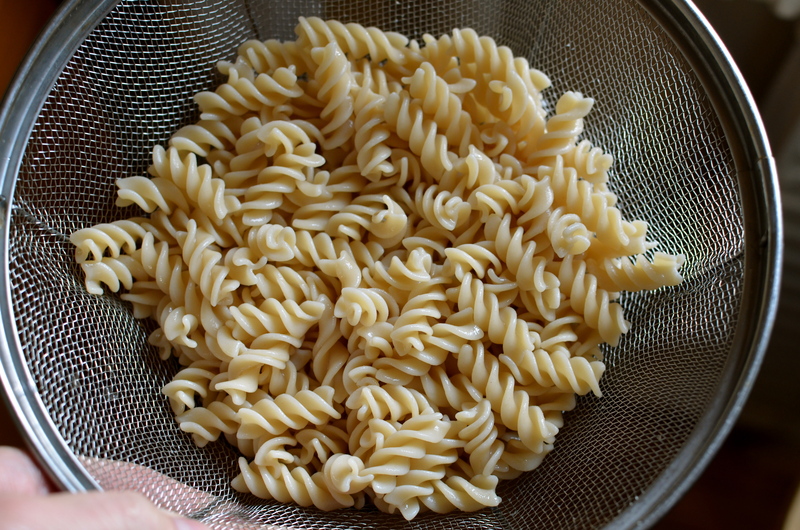 While pasta is cooking, add all other ingredients into a large bowl. 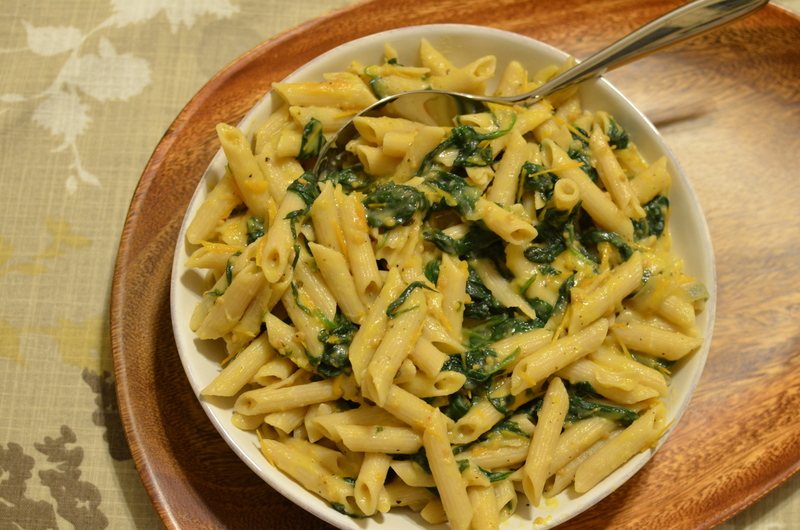 You may want to hold off with the mayo until you see how much pasta you have, or add some now, and a little later too. *Remember with any recipes I put on here — they are a guide for you. Feel free to mess with them and make them your own. You know your dietary needs best, so feel free to substitute whatever ingredients are best for you. Whatever makes you so happy, it calls for a head tilter. 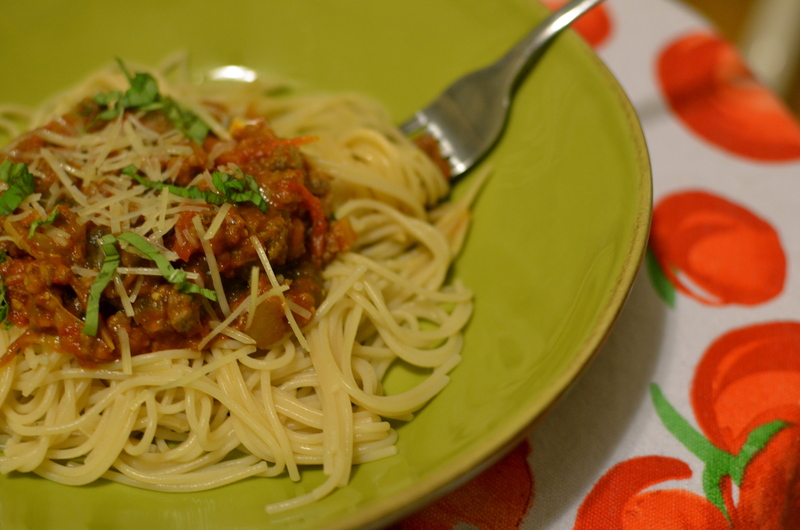 We were impressed with each dish we made — and we cleaned out the freezer, using the last of our red sauce and yellow sauce from garden tomatoes last summer. You don’t have to take only my word for it, Jovial was awarded the honor of grand prize by Cooking Light magazine in their Gluten-Free Pasta category. This poor post has been waiting “in queue” since December, you know, when I was eating cookies pretty much everyday for breakfast? I’ve toned down the sugar and replaced it with real food, but these cookies were pretty tasty. 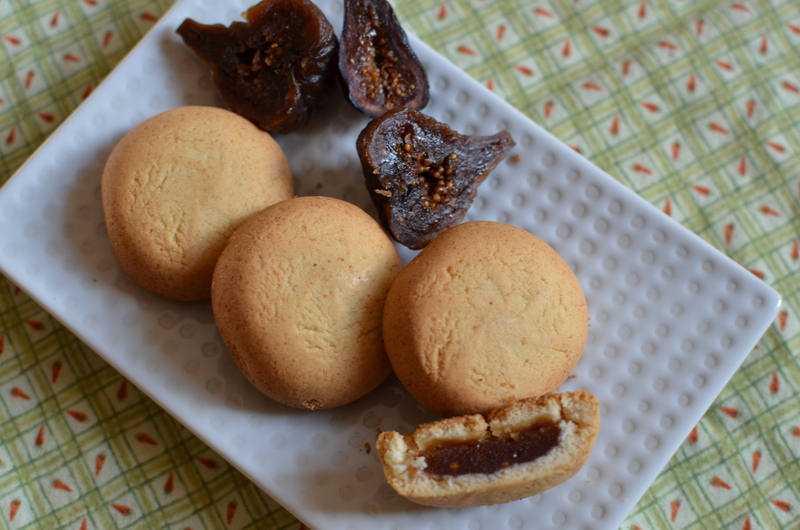 And I’m human, I still have sweet treats from time to time — the fig fruit filled cookies were hands down our top choice. Just like Fig Newtons, but gluten-free of course. Now figs aren’t for everyone, I get that. And don’t you worry — they have other options too. 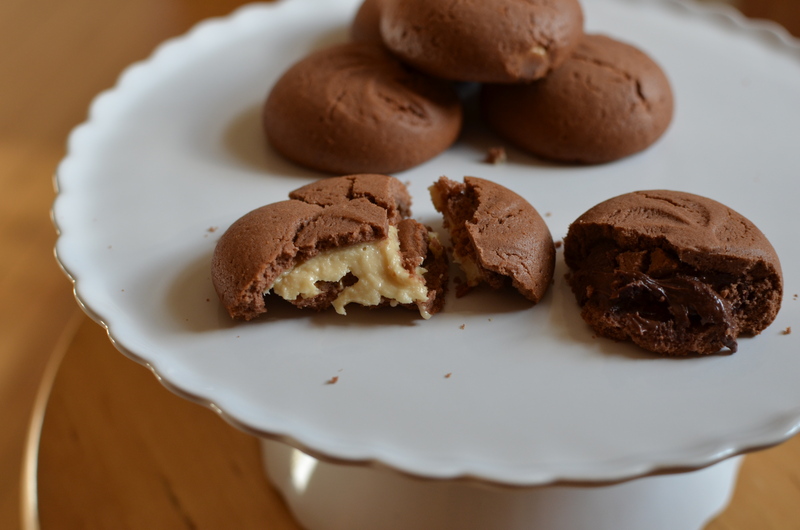 Ones that include chocolate. So there you have it, another GF staple to add to the pantry. Have you tried Jovial pasta or cookies yet? What did you think? And is anyone else still using up tomatoes from their freezer?